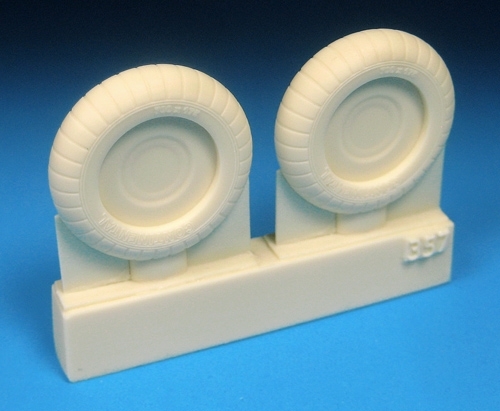 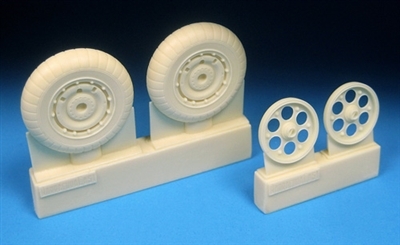 This set contains two accurate resin mainwheels with ribbed tires, separate six holed wheel hubs to represent the correct hollow look under the hubcap, and detailed tire logo and data. 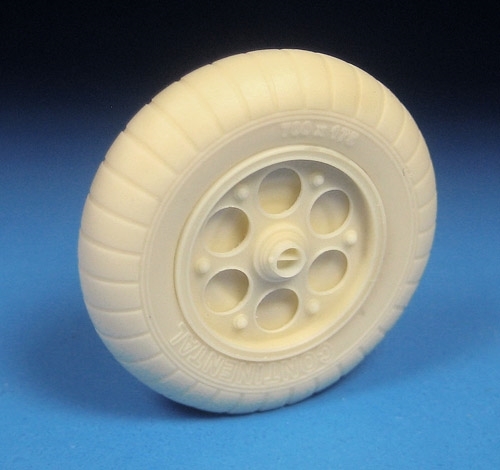 This wheel was fitted to all Fw 190A-1 to A-5, and some early A-6s. 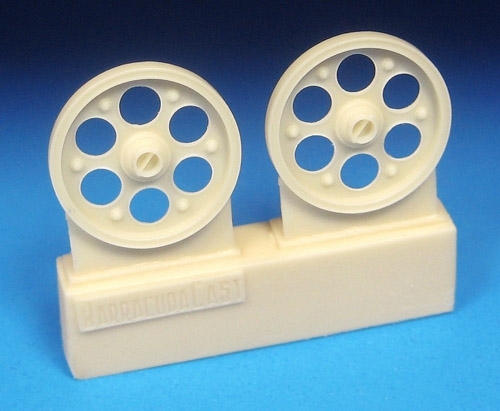 For the Hasegawa or PCM kits.